London, Feb 7 : Andy Murray and his fiancee Kim Sears are planning to get married on 11th April at the luxury hotel he owns in Scotland, it has been revealed. The five-star Cromlix House Hotel, close to his home town of Dunblane, which has its own chapel, was the setting for the 27-year-old tennis star's brother Jamie's wedding in 2010. London, Jan 26 - Britain number one Andy Murray admitted that he felt much stronger physically than last year in the fourth-round tie against Bulgarian opponent Grigor Dimitrov. Sixth seeded Murray, who trounced Dimitrov 6-4 6-7 (5-7) 6-3 7-5 in a pulsating thriller, cruised into the quarterfinal round of Australian Open . Murray, who is eyeing his third major, said that he felt physically better than the last year for a match that went three and a half hours, the BBC reported. 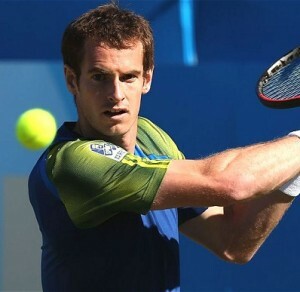 London, Jan 17 - Head of British tennis Leon Smith believes that Britain number one Andy Murray is one of the favourites to win the Australian Open as he is in good condition . The former coach of Murray said that he was in great shape and was hitting the ball extremely well, adding that he had got as good a chance as anyone to win the tournament, the BBC reported. 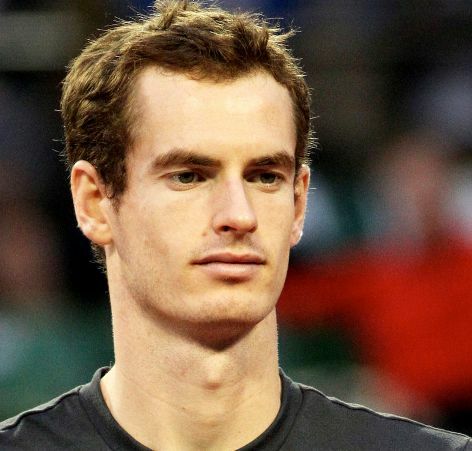 According to Smith, Murray is in good shape and has played a lot of matches in the last three or four months of 2014. He further said that there's no doubt that helped condition his body, get match fit and, importantly, build confidence and get his ranking back to number six, the report added. Johannesburg, Dec 2 : Andy Murray has waited long enough and hopes to marry her love of 9 years Kim Sears next year. The 27-year-old tennis champ, who recently announced his engagement to Sears, said that though they plan to tie the knot in 2015 a plan to get married next year, they haven't set a date yet, News24. com reported. London, Nov 27 : Britain number one Andy Murray's agent has confirmed that the Scot has got engaged to his long-term girlfriend Kim Sears. Murray and Sears have been a couple since 2005 and she regularly watches his matches. 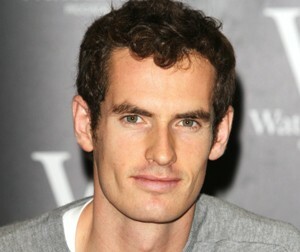 It is being speculated that the Wimbledon champion popped the question to Sears last Wednesday. 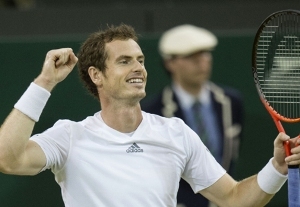 Earlier this year Murray, from Dunblane in Perthshire, joked during a question and answer session with fans that he was getting married after Wimbledon, The BBC reported. London, November 15 : Britain number one Andy Murray revealed that he has never endured a heavy defeat like his 6-0, 6-1 thrashing by Roger Federer at the ATP World Tour Finals. Murray believes that he has never been in that position in his entire career as he struggled to earn some points in order to counter strikes made by Federer. He further laments that it would be a tough task to look back at this defeat in the future. 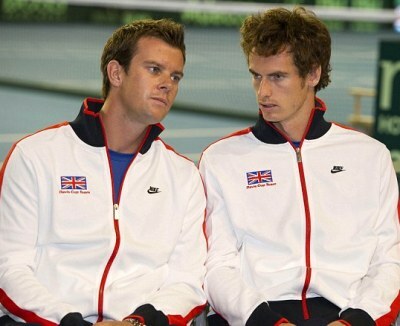 It may never happen again, said Murray in his column, the BBC reported. London, Oct 31 - Britain number one Andy Murray recorded a straight sets win over Wimbledon champion Grigor Dimitrov at the Paris Masters to book his place at the ATP World Tour Finals. 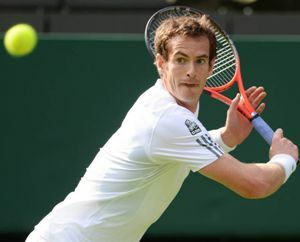 Murray, who lost in straight sets at Wimbledon , beat the Bulgarian 6-3, 6-3 to reach the quarterfinals. He is seeking to win his fourth title in six weeks and also required to reach the last eight to qualify for the season-ending finals in London. The Scot would next face world number one Novak Djokovic, who needed a second-set tie-break for a 6-3, 7-6 (7-2) win over Gael Monfils, in the last eight on Friday, The BBC reported. London, Oct 30 - Britain number one Andy Murray has said that if he gets in to London he deserves to be there, after he moved to within one win of qualifying for the World Tour Finals with a 6-3, 6-4 win over Julien Benneteau at the Paris Masters. Murray, who is fifth in the race to qualify for November's finals, outclassed his French opponent in 71 minutes to reach the third round. He just needs to reach the quarterfinals in France to clinch his place in London. The Scot, who has won three titles in five weeks, would face Grigor Dimitrov , who beat Murray at Wimbledon, next, The BBC reported. London, Oct 25 - British number one Andy Murray recorded a hard-fought win over Kevin Anderson at the Valencia Open to boost his hopes of qualifying for the ATP World Tour Finals. Murray won 6-7 (3-7), 6-4, 6-4 to reach the semifinals, where he will face Spain's David Ferrer in a key contest in terms of ATP Finals places. Top seed Ferrer beat Thomaz Bellucci 6-1, 6-2 and will meet Murray for the third week in a row on Saturday. 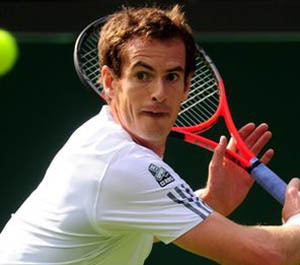 The Spaniard is 10th in the Race to London, two places behind Murray, The BBC reported. London, Oct 20 - British number one Andy Murray came down from a set to beat David Ferrer 5-7, 6-2, 7-5 in the Vienna Open final and move ahead of the Spaniard in the race to qualify for the World Tour Finals. Murray broke his opponent three times in the final set before holding his nerve to serve out the match and win only his second title of the year. The win means the Briton leapfrogs Ferrer and moves up to eighth in the race to London. Johannesburg, Oct 16 : British number one Andy Murray has admitted that he is prepared for all possibilities as the race for the last handful of spots at the World Tour Finals heats up with less than three weeks left in the season. The 2013 Wimbledon champion, who opens play on Thursday in the second round of the Austrian Open against Canadian Vasek Pospisil, said that making the eight-man championships in London is a goal for every player at the start of the year. 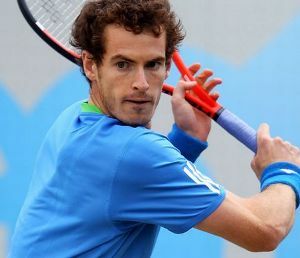 Murray said that there are a lot of seeding advantages with being in the top eight, and added that he would be trying his best to make it to London over the next two or three events, Sport24 reported. London, Sep 25 - The Lawn Tennis Association (LTA) has revealed that former Wimbledon champion Andy Murray is 'unquestionably loyal' to Great Britain after the tennis ace was criticised for supporting Scottish independence. The online abuse directed at Murray after he declared his backing for the yes campaign has been described as vile. Michael Downey , chief executive of governing body LTA, said that he welcomed the Scot actively engaging in the democratic process. London, Sep 05 : British number one Andy Murray has said that he was disappointed that world number one Novak Djokovic had proved physically better than him in their US Open quarterfinal clash. Eighth seed Murray lost 7-6 (7-1), 6-7 (1-7), 6-2, 6-4 to Djokovic in three hours and 32 minutes at Flushing Meadows. Murray said that he thought physically Djokovic was better than him in the end, and added that he was a little bit disappointed because he did train very hard, The BBC reported. 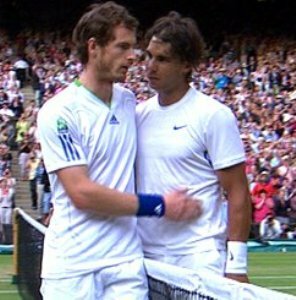 London, Aug 25 : British number one Andy Murray is determined to put his recent disappointments behind him and is hoping to draw inspiration from the stunning exploits of Northern Irish golf ace Rory McIlroy by ending his year long wait for a tournament victory at the US Open. The Briton will begin his campaign for a third Grand Slam title, and second at Flushing Meadows, against Dutchman Robin Haase on Monday. Murray arrived at Flushing Meadows on the back of three successive quarterfinal defeats, and without a title or a win over a top 10 player since Wimbledon last year. 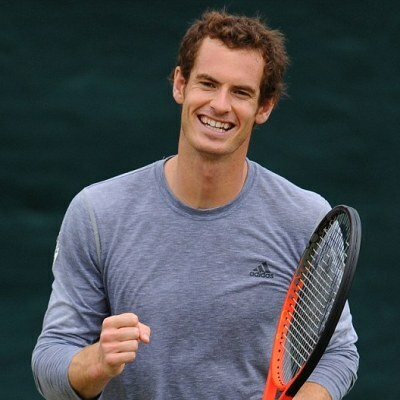 London, Aug 20 : Tennis ace Andy Murray is seeded eighth for the 2014 US Open, which is set to commence at Flushing Meadows on Monday. According to the BBC, the 27-year-old, who won the tournament in 2012, has not won an ATP ranking event since Wimbledon in 2013. Britons Daniel Cox and Naomi Broady, who lost their first-round qualifiers in straight sets, will not be participating in the main draw.